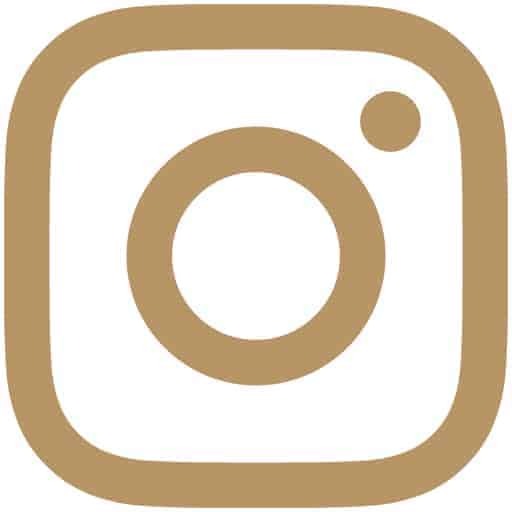 Using an Instagram scheduling tool is an affordable way for small businesses to outsource their social media marketing without hiring someone to manage it for them. As a small business owner, it’s not always feasible to bring someone on your team to help with every little task! 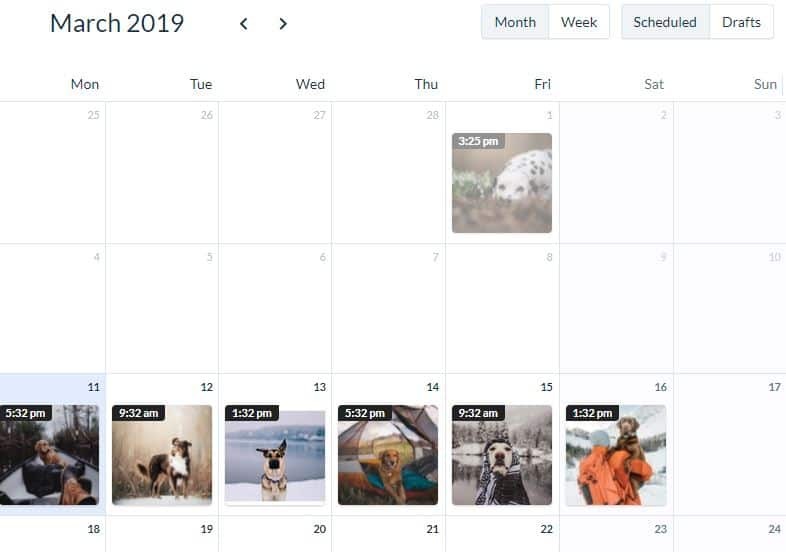 Using technology such as Hopper HQ’s Instagram scheduling tool will help you schedule your Instagram posts so you can get back to doing what you love. 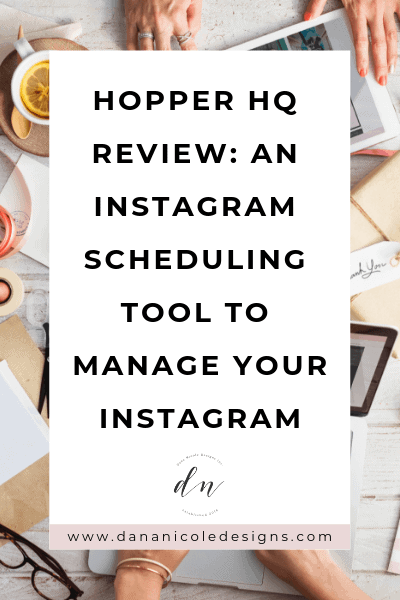 I recently got the opportunity to try out Hopper HQ’s beta software and have written up a Hopper HQ review to help you understand if this Instagram scheduling tool is right for you and your business. Hopper HQ has kindly given readers of my blog (aka, you) early access to their beta software which will be released shortly! I will be reviewing Hopper HQ’s beta software so you can see what you’ll be getting with their new improvements and upgrades. Software and apps that require you to jump through hoops before beginning to use them aren’t my cup of tea. The first thing I wanted to make a note of during my Hopper HQ review was how long it took me to get up and running, so you could have an idea of how much time to set aside for implementation. After that, I had to enable autoposting, which again, was pain-free and very easy! Setting up Hopper HQ and connecting it to my Instagram account was as simple as clicking a couple of buttons and wasn’t complicated in the least. Having a flow to your Instagram feed is especially important if your feed has a theme or aesthetic to it. Hopper HQ allows you to preview what your Instagram grid will look like with all your scheduled posts. If you don’t like how it looks, simply drag and drop your images around until you find a flow you are happy with. No Instagram scheduling tool would be complete without giving you a snapshot of the ideal time you should be posting. After all, how are you supposed to increase your engagement and grow your following if you aren’t posting when most people will see your content? When I began my Hopper HQ review, I wanted to make sure there was something I could use to find the perfect time to post. Hopper HQ has a free tool that breaks down the best (and worst) times specifically for your account to help you create a customized schedule that works! The above tool is free to use, for both customers and non-customers of Hopper HQ, so go ahead and give it a try! Other social media schedulers fall flat on this feature. Inside Hopper HQ’s post scheduler, you can edit and crop your photos and eliminate the use of a third-party photo editor. Let’s say you are uploading 50 Instagram photos to schedule out for the month. 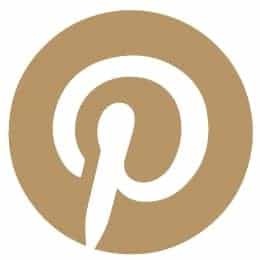 After uploading them and seeing them previewed in your grid, you notice that several of them are a tad too dark and you’d like to brighten them to match the rest of your feed. If you weren’t using Hopper HQ, you’d then need to find a photo editing software or an additional app to brighten the photos and then re-upload them to be scheduled. 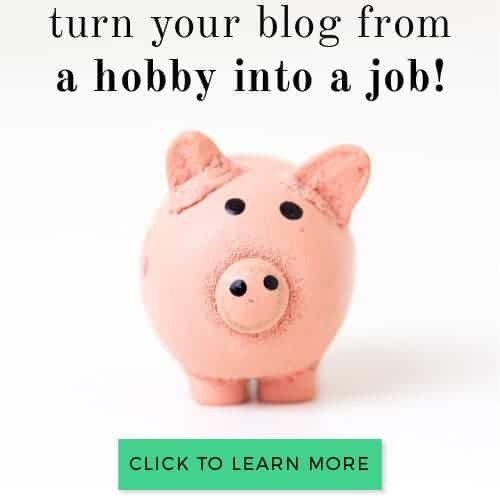 This is a tedious and time-consuming process and the team at Hopper HQ has made sure you won’t be spending any extra time fussing around with your posts! The built-in photo editor allows you to edit your photos right within the interface, meaning you can get your posts scheduled, edited and uploaded in a matter of moments. Batching your tasks has been a proven way to increase productivity. With Hopper HQ, you can take full advantage of task-batching by bulk-uploading your images and videos. 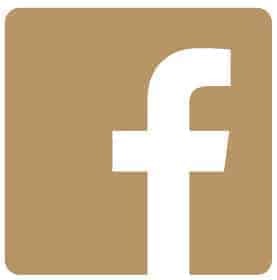 Once you have uploaded your photos, you can move onto writing (or copying and pasting) your captions to the post. Hashtags are an excellent way to grow your reach and reach more customers who might not already be following your account. Selecting the right hashtags can skyrocket your impressions. As you begin to type out a hashtag, Hopper HQ will make suggestions based on similar hashtags, along with showing you the number of posts associated with each hashtag. 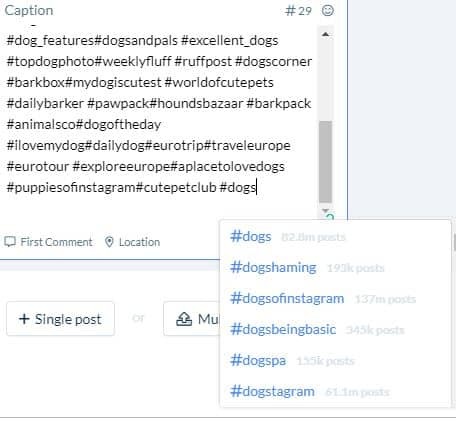 Knowing the number of posts per hashtags will help you select your hashtags accordingly and maximize the chance that your account will show in the top posts for that particular hashtag. While there’s no proof as to where the most effective place is to put your hashtags, Instagram users are squarely divided by those who believe putting them in the caption is the best and those who think that putting them in the first comment is more effective. Regardless of which camp you fall in, Hopper HQ easily lets you choose where you want to put your hashtags. 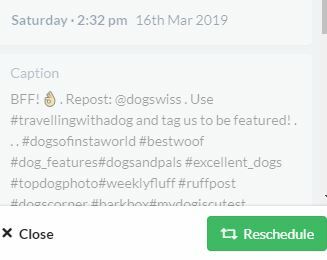 Hopper HQ is the first Instagram scheduling tool I’ve used that gives the option of adding the first comment onto your post, where you can put your hashtags (or some extra emoji’s – whatever floats your boat)! Increasing your reach isn’t limited to hashtags, either. You can expand your reach by tagging other users within your caption or by adding a location geotag to your image. 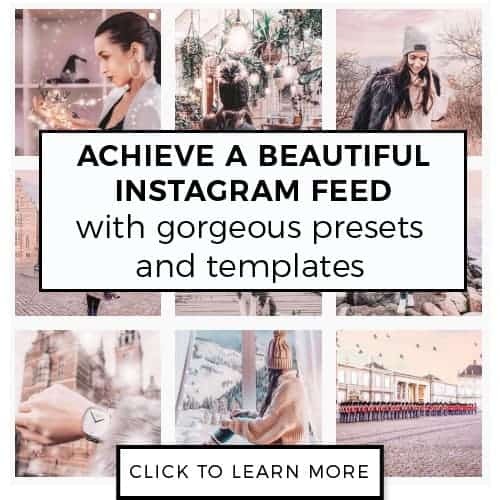 When scheduling Instagram posts for your business, some schedulers cannot geotag. But for a local business, geotagging is incredibly important and can help your audience know your location. Hopper HQ makes geotagging easy, so you don’t miss out on any potential reach! If your current Instagram strategy is to manually post your content, cross your fingers and hope that the likes, followers and website clicks roll in, Hopper HQ will help you turn it into something less haphazard and more strategic through their easy-to-understand analytics. 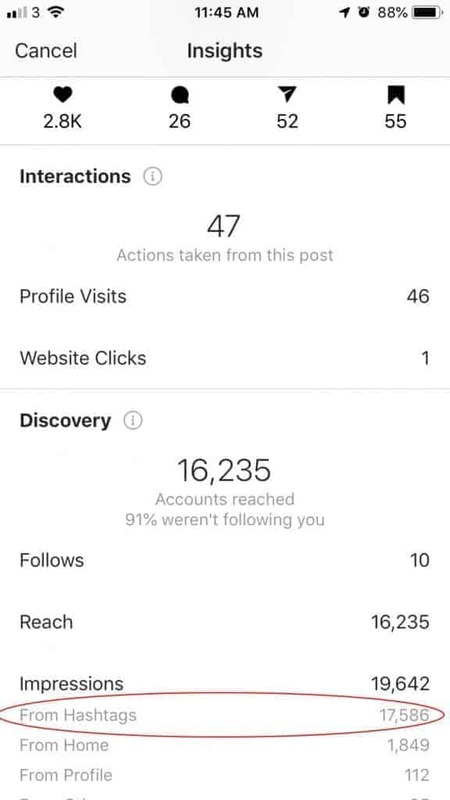 Hopper HQ’s analytics will help you understand what is working and what is not so that instead of crossing your fingers and hoping for the best, you can post with confidence. In the screenshot of my analytics above, you can see the impact that posting consistently had on my impressions. There is nothing wrong with repurposing existing content, primarily if it performed well! With the click of a button, you can reschedule any post that has previously been posted to your Instagram account. Just click “Reschedule” and update the caption (if you wish) and you’re done! The best product in the world is nothing with a non-existent customer support team. Hopper HQ’s team is attentive and was able to quickly answer all the questions I had when I was getting up and running. If you are worried about the learning-curve with Hopper HQ, I can tell you that it’s incredibly easy to use and any questions you have, Hopper HQ’s support team will be able to answer right away. Hopper HQ has a lot of great features and something I’d like to see in the future is the ability to reply to comments! Being able to reply to comments would take Instagram task-batching to another level. Clicking on each photo and sifting through the comments can be a bit tedious, especially for accounts who get lots of comments. But replying to customers is important, and being able to do that through Hopper HQ is a feature I hope is one day added! The Instagram account I used to perform my Hopper HQ Review was a repost account I manage, where I feature user-generated content. This means that I need a way to seamlessly repost people’s photos and give them credit for their work. When I began my Hopper HQ review, I wasn’t able to find a way to repost from their platform, but after a quick email to support they showed me some options so that I could repost. In the future, I’d love for Hopper HQ to have some reposting functionality, but their support was able to show me a couple of different ways that did the job! Hopper HQ’s clean interface was not only easy to use but with so many key features you’ll be able to schedule and plan your content so that it doesn’t take away from other areas of your business. Click here to start your 14 day free Hopper HQ trial!